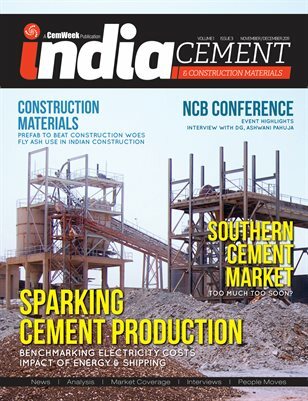 The November / December issue of the CemWeek's ICCM looks closer at the cement market in South India as well as one of the biggest factors facing the industry, power and energy. Additionally, the issue highlights a series of important aspects and developments in the industry, including fly ash use, ACC's new mega-plant at Wadi as well as an update from the NCC event in New Dehli. The infrastructure and construction sectors also benefit from an update, in addition to the regular cement sector coverage.